Villa U Marchisi B&B is located in the costal village of Cava d’Aliga near Scicli in the South East of Sicily – Val Di Noto – province of Ragusa. With all of the comforts you could want in our family run B&B, we will ensure that you relax and enjoy your holiday in the natural and historical surroundings of Sicily. The bed and breakfast U Marchisi is located just a few minutes, by car, from the golden sand beaches of Cava d’Aliga, Sampieri, Pozzallo, Donnalucata, Marina di Ragusa, Bruca, Filippa and Marina di Modica where you can swim in the clear blue sea and enjoy the unspoilt 50-km-long coastline. Warm sand and crystal-clear water are waiting for you under the warm and welcoming Sicilian sun! Val di Noto was nominated by Unesco in the World Heritage of the Humanity category. 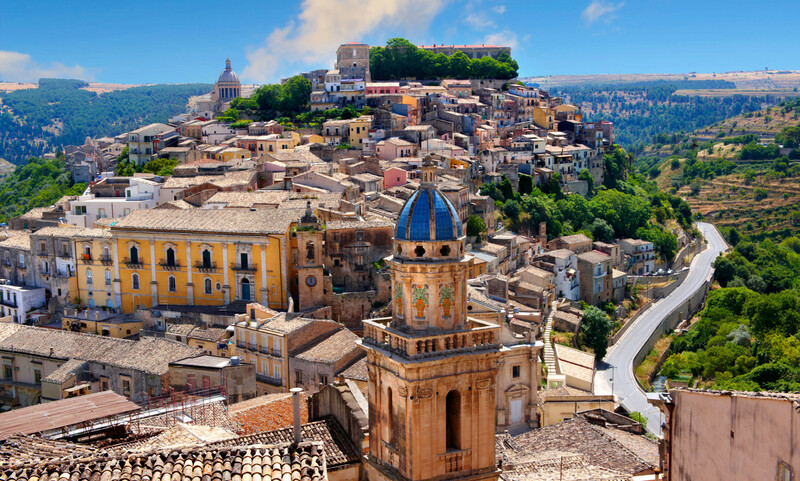 You can wonder around the center of the small towns of Scicli, Modica, Ragusa Ibla, Noto and Siracusa, each of them surrounded by picturesque landscapes, fine baroque churches and impressive palaces. During your stay you will experience the warm hospitality of the Sicilian people and the family run U Marchisi B&B. In the region you can savour the culinary delights of our typical Sicilian meals such as fresh fish, pasta, pizza, cheese, local meat, sweets and much more of the Sicilian tradition. Local wine is absolutely delicious and you’ll find plenty of restaurants where cooks will be glad to share some of their secrets with you! Benefits to book directly by our website. Only if you book directly by our website, byt phone or by mail, you will get breakfast, parking and wifi free. Always. Do not risk to pay for these services and other hiden fees booking by other websites. Book drectly with us and get the best price and these services for free. Always. Only if you book directly by our website ( mail, phone or our booking engine ) we will provide you the map about the best street food of Scicli. If you do not find any availability by our booking engine on line please contact us directly by mail or phone. We will try to find a solution for you.